My take on Twitter IPO : Keep doing the right thing, you will invariably find the commercial model. For many reasons it was an important announcement. In its 7 years of journey, it has seen huge challenges – technical challenges as well business model challenges. So called pundits have questioned very existence of Twitter on commercial scale. It was dwarfed by the two towering giants – Google and Facebook. Even today it is not very big in terms of revenue it generates – between $500 million to $600 million by some estimates. Given that Twitter had started off as a side project in early 2006, it could have died easily, specially when it did not have predictable revenue model till very recent times. I remember reading many articles when people wondered whether Twitter would remain relevant to the consumers. There were lot of uncertainties when third party apps like TweetDeck, Tweetie etc had threatened to gain more consumer traction than Twitter itself. After all company revenue ( specially Ad revenue) entirely depends on the extent of consumer interaction you have and insights you gain. 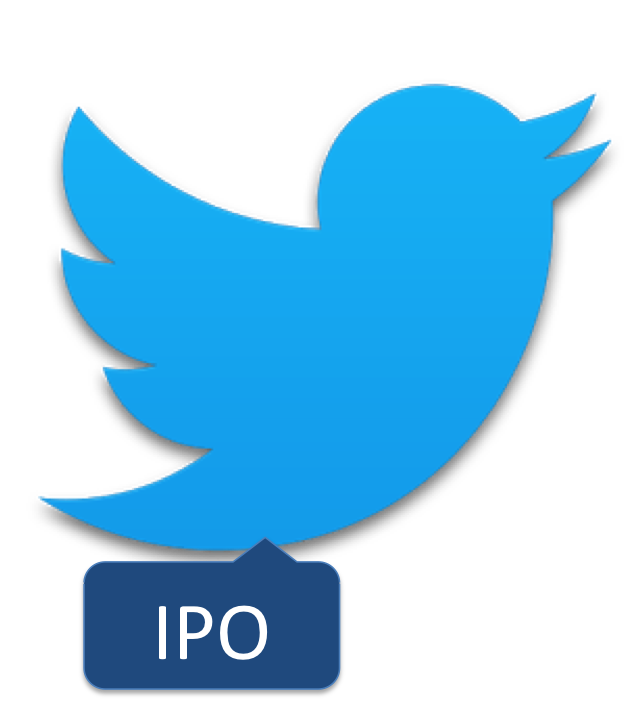 Despite these challenges Twitter has survived, flourished and is reaching an important milestone on the journey of successful companies – through this IPO it is being valued at around $12Billion company. Today it is one of the most important platforms for the politicians, the civic societies, the celebrities and all the influencers to directly engage with their followers. You can not imagine some of the great events of the century – without Twitter being used as a tool – President Obama’s election and re-election, Arab spring movements etc. My take on this success is that Twitter kept doing what was right for its users. It started off small, but improvised, improved and delivered what users wanted – great engagement platform, search and ability to influence. As an outsider I believe Twitter was able to achieve this because it did not succumb to the pressures of to go after commercial model first. It apparently pursued what was right for its users and did not clutter the platform with ads. I believe that if it had only focussed on doing the ad and ad revenue, it might have distorted the user experience and acceptance and might not have got this tremendous user engagement – which is a real reason for its success so far. I believe that Twitter, continued to deliver what users were looking for, it became relevant and sticky and eventually found a way to monetize it. And I think thats the way it should be. I hope it continues its journey and I wish it all the success. You are currently browsing the Mind (and) Your Business blog archives for September, 2013.